Targem Games and Gaijin Entertainment announce they will launch their post-apocalyptic free-to-play Action MMOG Crossout on May 30, 2017 for PC. 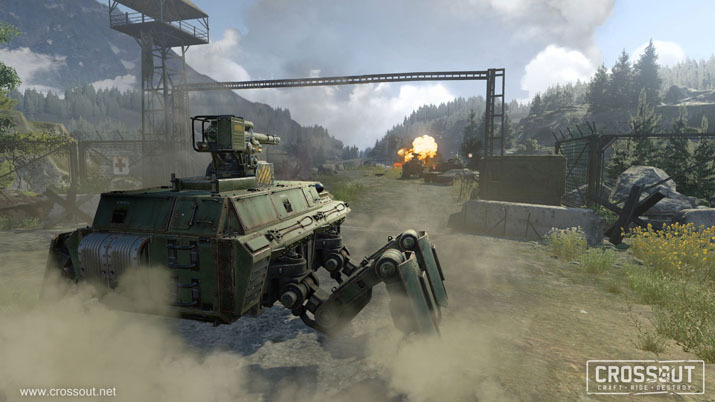 “Crossout blends high-octane MMO gameplay with the unique ability to customize vehicles. In the Closed Beta, our players have crafted vehicles we never imagined possible, terrifying in design and deadly in their execution. They have designed hundreds of thousands of never before seen machines, and more than 65,000 of them have issued blueprints for road warriors to emulate. We cannot wait to see what they craft when we launch the game on PC and consoles,” said Stanislav Skorb, CEO, Targem Games. In Crossout, games are fast with heavy action. Road warriors craft death dealing vehicles that suit their preferred style of play. Complete customization, without classes or patterns make for thousands and thousands of options. Combine parts and resources to create advanced technology, trade or sell at the in-game marketplace with other players, road warriors get to choose how to build the perfect killing machine. Advanced damage modeling affects vehicle performance. Parts fly off, engine blocks explode, wheels and roofs tear away and vehicles vaporize. In Crossout, road warriors have the freedom to strategically build their own stockpile of combat vehicles from the ground up using hundreds of parts earned through victorious combats, crafting and trading. Every choice, every weapon, every part brings with it pros and cons, and brings warriors one step closer to victory, or defeat. The launch of Crossout will introduce several new features including the military-inspired Steppenwolves as the game’s fifth faction. 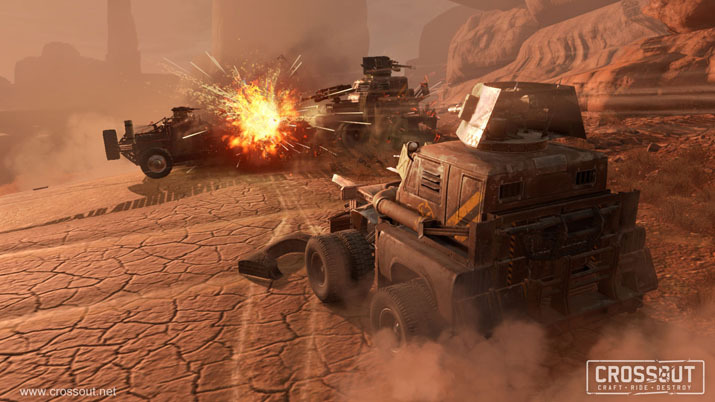 Players can expect a surplus of new weapons of mass destruction such as player guided rockets and wheeled combat drones (mini-cars with advanced firepower). Survivors will be able to try out enormous mechanical legs - an advanced way of traversing on the battlefield. Players can expect new modes including a racing mode, maps as well as advanced cabins and other exclusive parts to craft death-dealing machines. To learn more about the upcoming content, visit the devblog.